Justice Asif Saeed Khosa Friday took oath as the 26th Chief Justice of Pakistan in a simple ceremony held at the President's House which was also attended by foreign dignitaries, including from India. President Arif Alvi administered oath to the new Chief Justice who took office after the retirement of Chief Justice Saqib Nisar. Prime Minister Imran Khan, judges of higher courts, ministers, diplomats, civil and military officials, lawyers and foreign guests including from India were present at the oath-taking ceremony, the Dawn reported. Former judge of the Supreme Court of India and President Governing Committee of the Commonwealth Judicial Education Institute Justice Madan Bhimarao Lokur and Sandra E Oxner, a former judge and founding president Commonwealth Judicial Education Institute, Canada took part in the ceremony, the report said. They arrived through the Wagah border in Lahore on Thursday to attend the ceremony, it said. Five senior judges of Turkey, South Africa and Nigeria also attended the oath taking ceremony. 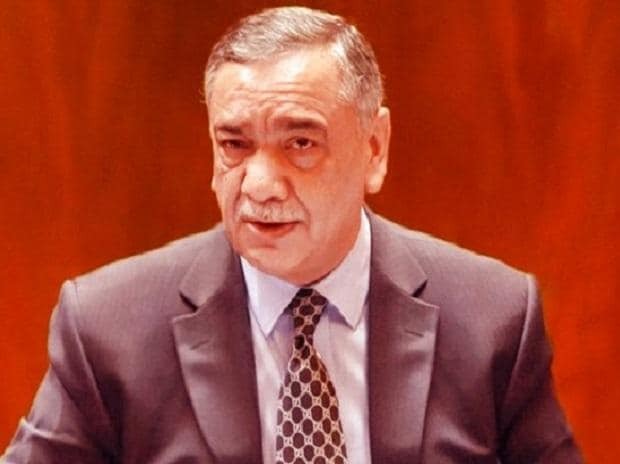 Born in 1954 in Dera Ghazi Khan area of the Punjab province of Pakistan, Justice Khosa studied at the University of the Punjab and Cambridge University. He started his practice as a lawyer in 1977 and was elevated as high court judge in 1998. He was made judge of the Supreme Court in 2010. Justice Khosa has decided around 50,000 cases in his long career. He was also part of the benches which disqualified former premiers Yusuf Raza Gilani and Nawaz Sharif. He was also part of the three-member bench which acquitted Christian woman Asia Bibi in blasphemy case. The judgment triggered countrywide protest and violence by extremists. Justice Khosa is very well read, having a vast study in different disciplines and often quotes foreign writers in his judgments. Addressing the retiring ceremony of his predecessor Justice Nisar on Thursday, Justice Khosa said that he would like to decide the more than 1.9 million cases currently piled up in different courts by reforming the judicial system. He also said that he would try to eliminate the practice of frivolous cases. Supreme Court lawyer Ali Zafar said Justice Khosa was expected to focus on judicial issues unlike his predecessor who often interfered in issues of governance. "The practice of suo motu will be rarely used by Justice Khosa as he believes that it should be only used when all other options have been exhausted to address issues," Zafar said.